When the brewery was founded in 1946 to brew and commercialize the beers of the Trappist Monks of Westvletern, the brewery received 4 beers from them: Abt 12, Prior 8, Pater 6 and Extra 4. In the 70’s this ‘Enkel’ or ‘Single’ style went out of fashion and the production of the Extra 4 was discontinued. 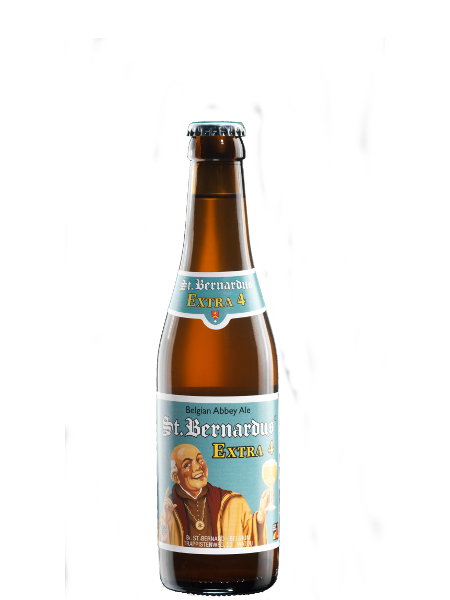 Originally, the Extra was brewed by the Monks for their own consumption, but this beer is seldom sold in Belgium or abroad. CharacteristicsThe Extra 4 is brewed in the classic 'single' style and is a light gold colored beer with a ABV of only 4.8%. It is a beer of high fermentation, bottle conditioned and full of flavours. 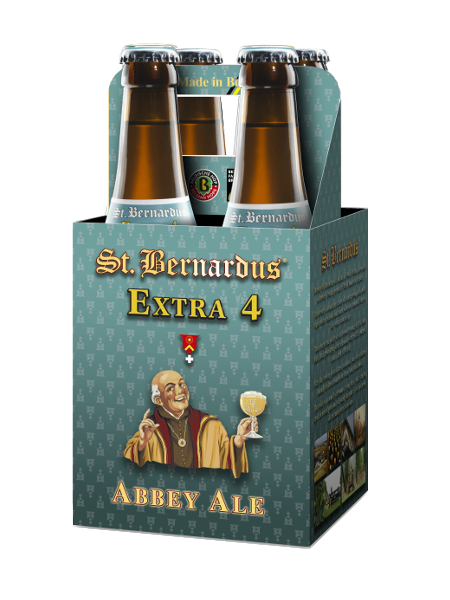 It is brewed with more hops than usual for the other beers of Brewery St. Bernardus.